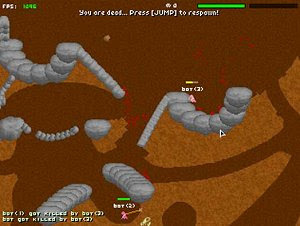 Liero is a DOS based game between two worms armed with heavy weapons of all kinds battling in underground caves. It is capable of both single player action against the computer or against a friend in a hot seat game. The game was created in 1999 but still has a strong following among dedicated fans.